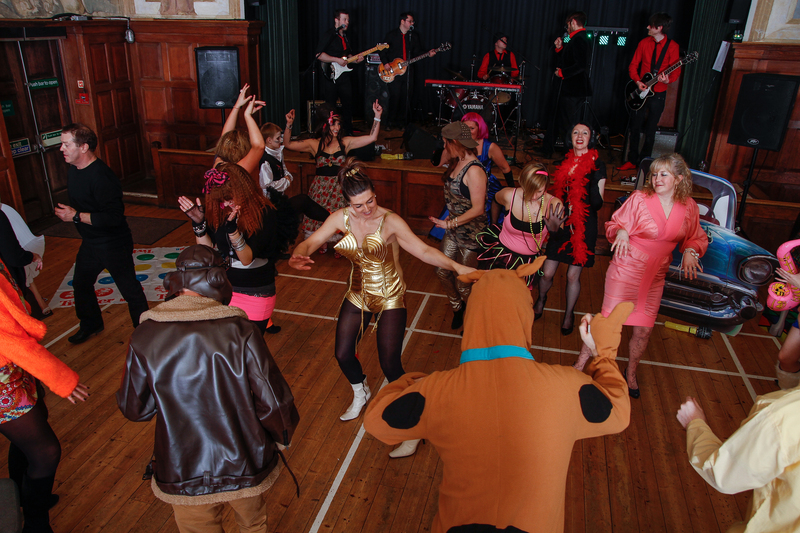 - Musical Entertainment by Disco or live entertainment on stage. i pods may be connected to the PA to provide music on a budget. 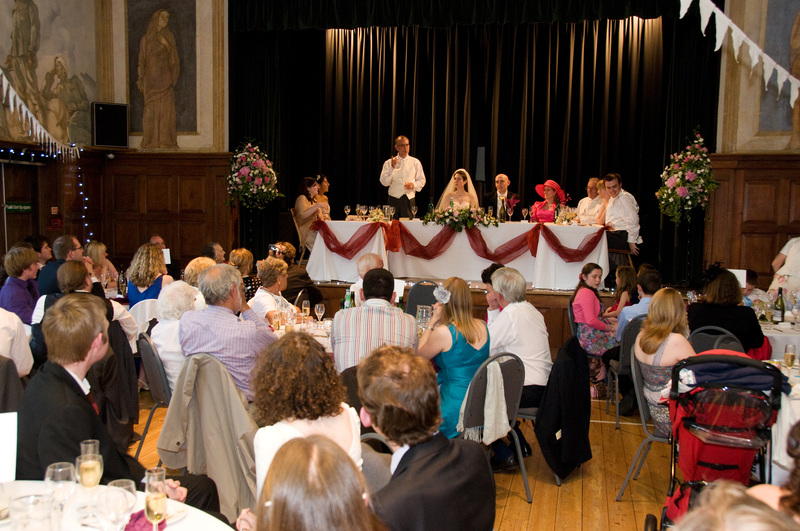 The Victory Hall is fairly priced for Wedding Receptions and Parties. 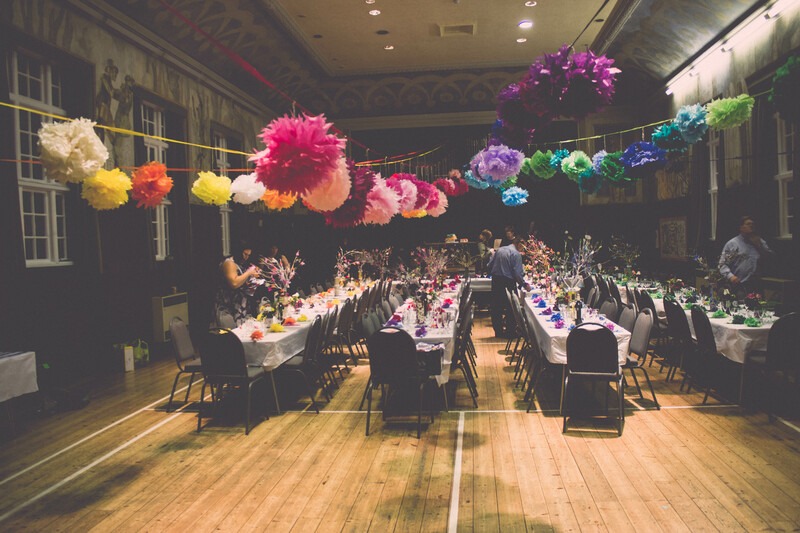 Hire can be arranged by the hour or all-day and prior event preparation can be included, depending on how elaborately you wish to 'Dress' the Hall. 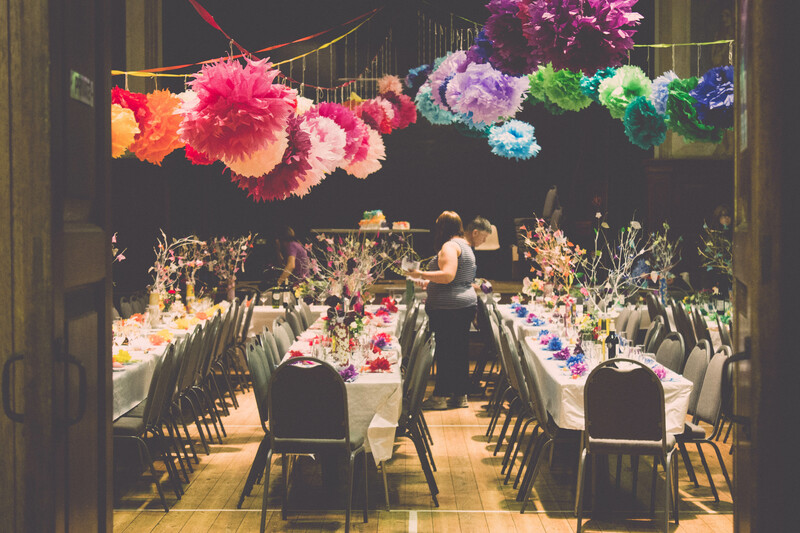 We have contacts with various businesses who can help you plan your event and provide catering, decorations, entertainment, or you may do everything using your own contacts and helpers. Well positioned, with good off road parking and overspill parking can be found nearby. The Stage makes an ideal focal point for the 'Top Table'. 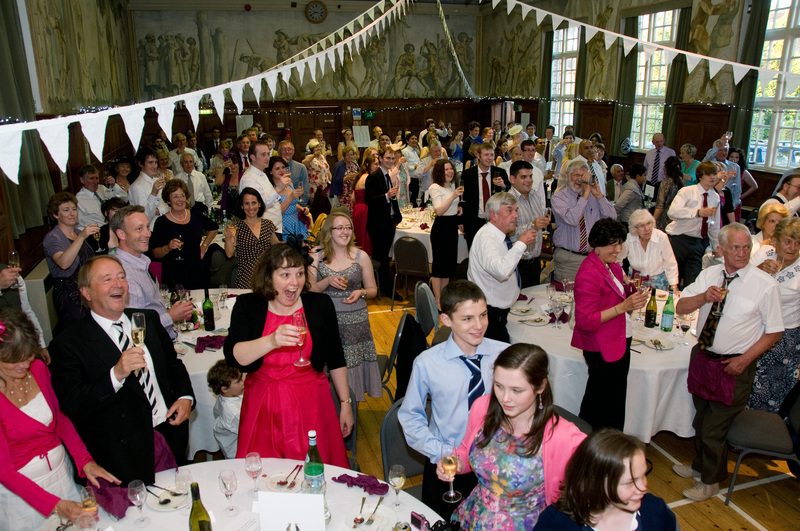 On this happy occasion, optional circular tables were hired for the Guests, whilst the Top Table was formed from the Hall's rectangular tables. There are 160 comfortable banqueting chairs available for your use. Once the tables are cleared, let the Party begin ! 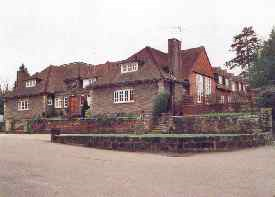 The Victory Hall offers a variety of activities which are run on a regular basis such as Badminton, Flower Club, Gardeners Association,History Society, Film Nights, Craft Market. 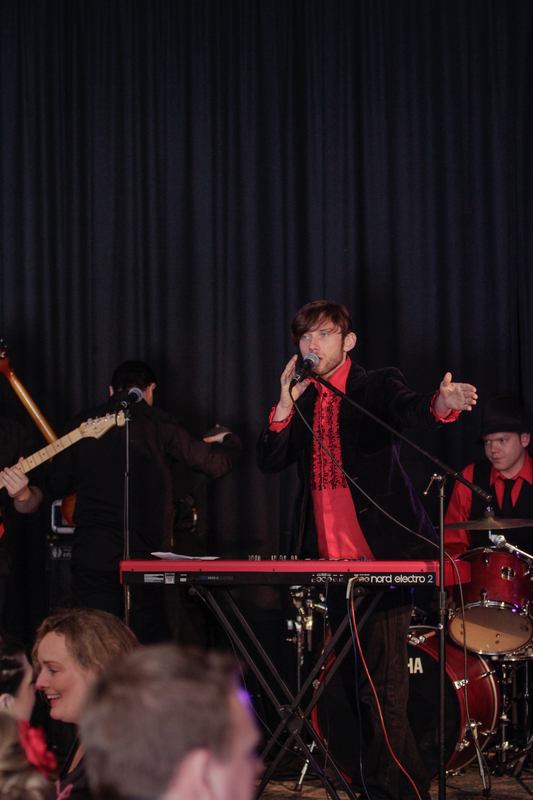 For Wedding or Party functions, the stage may be used by Bands or perhaps you would prefer a DJ and Disco set up ?